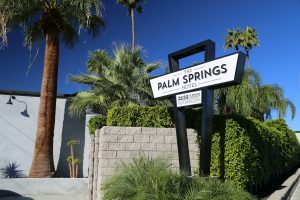 The city of Palm Springs quickly conjures up images of swaying palms, amorphous pools, golf courses, the strip, and heat. 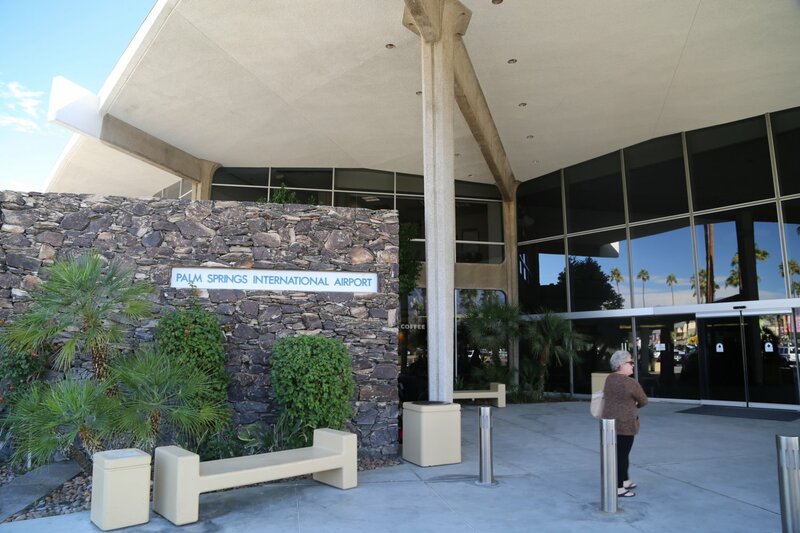 This is all true; there are many native and non native palm trees, a large plethora of golf courses, good shopping downtown and Palm Springs in the wintertime is often among the warmest areas to visit in the state of California. You can be hiking in the desert canyons nearby and the temperatures can be pushing 80 degrees while most of the rest of the nation is buried under snow or experiencing very cold temperatures. 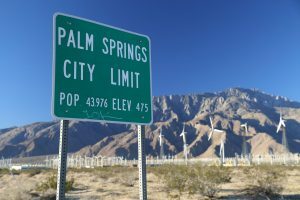 Palm Springs is home to about 50,000 residents. 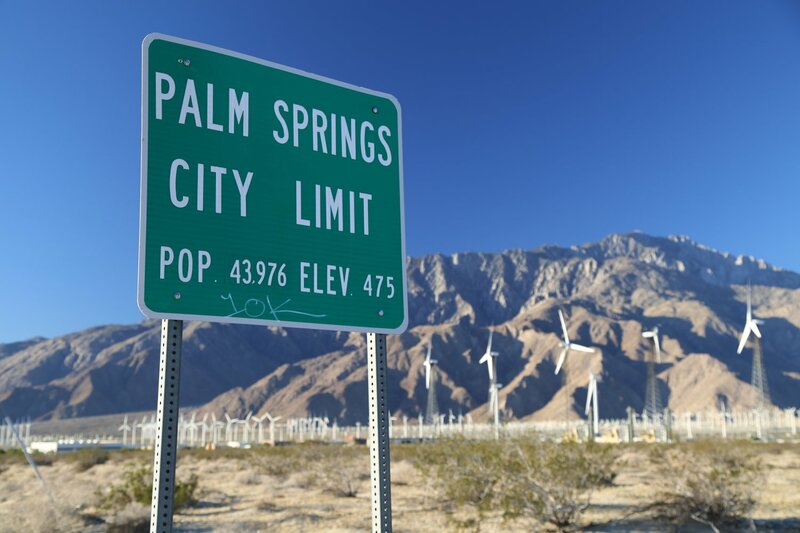 Palm Springs is located on Highway 111 about 13 miles off of the Interstate 10 in Southern California. For years the mineral springs and the warm weather in winter have attracted many people. 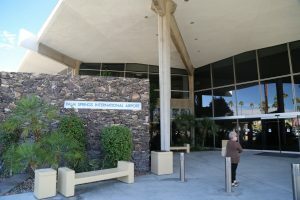 Palm Springs has also been the site for numerous Hollywood productions. 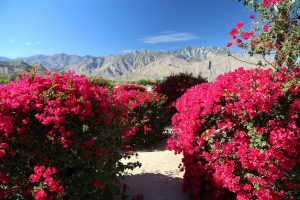 The drive from Los Angeles to Palm Springs is about 100 miles and with good traffic you can make it in about 90 minutes from downtown LA. The drive from Las Vegas is 282 miles, is entirely across desert and can be done in about 4 hours. 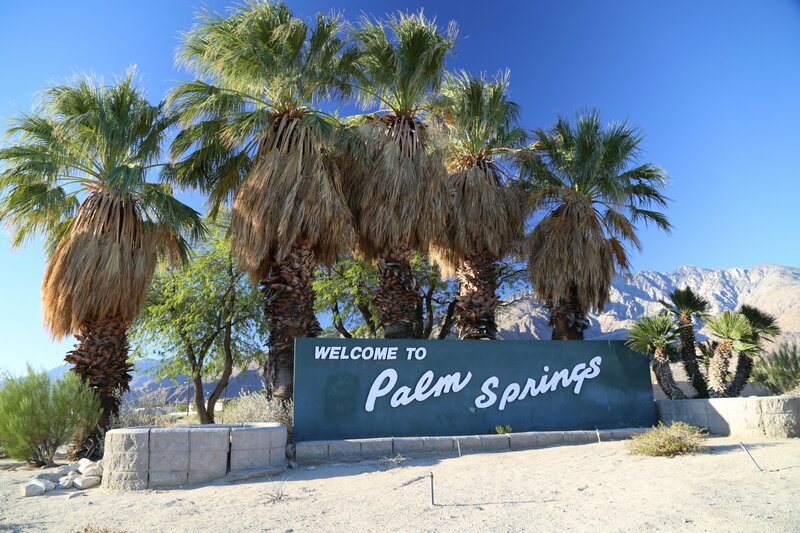 Palm Springs averages 350 days of sunshine a year, clear skies, and very low humidity. 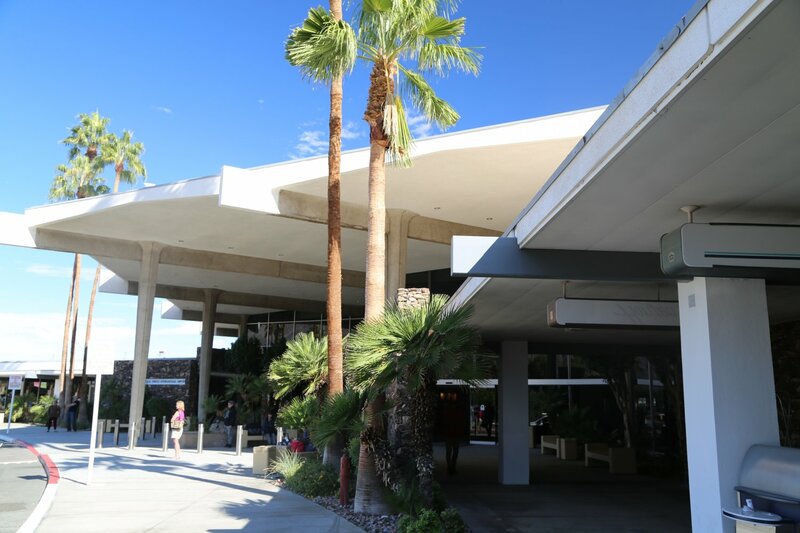 In the winter, you can go cross country skiing or snow shoeing by taking the Palm Springs Tramway to an elevation of well over 8000 feet, and then in the afternoon hop back down the mountain to town and go swimming in 80 degree weather! 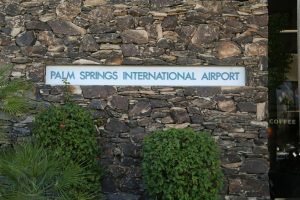 There used to be open land between Palm Springs and the other cities to the south, such as Cathedral City, Palm Desert, Indian Wells, La Quinta and Indio – but not anymore. Much of the land surrounding both sides of the 111 are now covered with strip malls – all the same color buildings (muted brown). The population along 111 has completely exploded in the last few years with many new homes and subdivisions built. Part of the reason for this growth is the availability of water in a visually dry environment; there is a giant aquifer of water located under this part of the state. Be sure to visit the Visitor’s Center located on the 111, (North Palm Canyon Drive) at the corner of Tramway Road. This center is staffed by people who know the area – they are a great source of information about the local region – you can also pick up tourist maps and free guides of the Palm Springs area. The city is located near the mountains. And the mountains also look great in the picture. 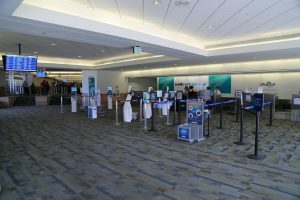 I want to visit this place. Thanks amigo. 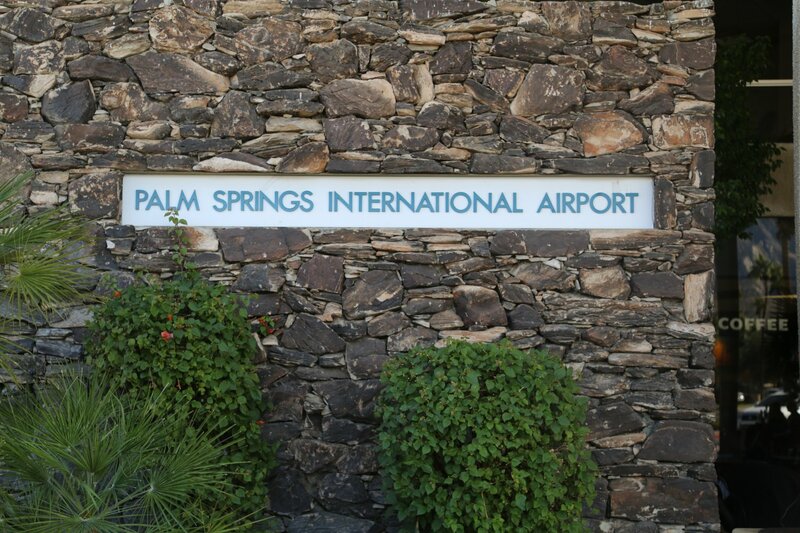 I will be back in Palm Springs later this year for some warmth. Palm Springs is awesome for family tour. I like Palm Springs lovely weather like valleys. thanks for sharing this post. Yes, I love the winter weather in Palm Springs. Summer isn’t to bad either – course I love heat!